Regenerating formula with Soft-Peeling effect that combines: skin renewal, moisturising and cell repair. Alfa Peeling evens out the texture of the skin, achieving greater softness and firmness. Enhances the effect of other treatments. Regenerates and moisturizes your skin every night. 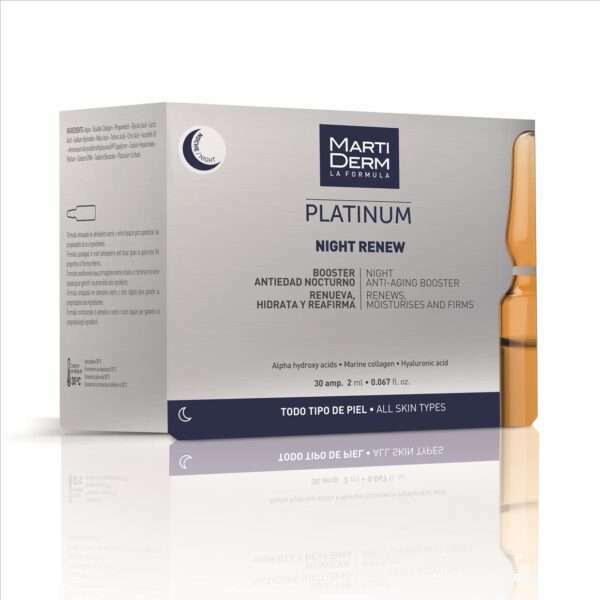 Reduces the depth of wrinkles and the tone of dark skin patches to achieve smoother, more uniform and firmer skin. MartiDerm Night Renew ampoule has a regenerating formula with Soft-Peeling effect that combines: skin renewal, moisturising and cell repair. 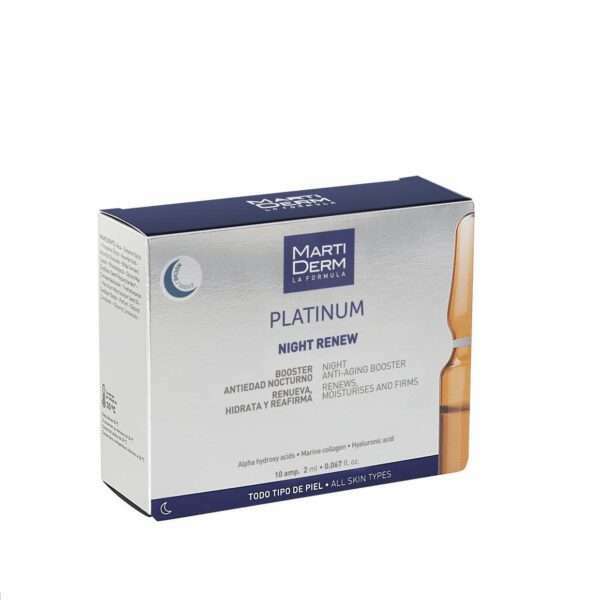 Night Renew evens out the texture of the skin, achieving greater softness and firmness. Enhances the effect of other treatments.